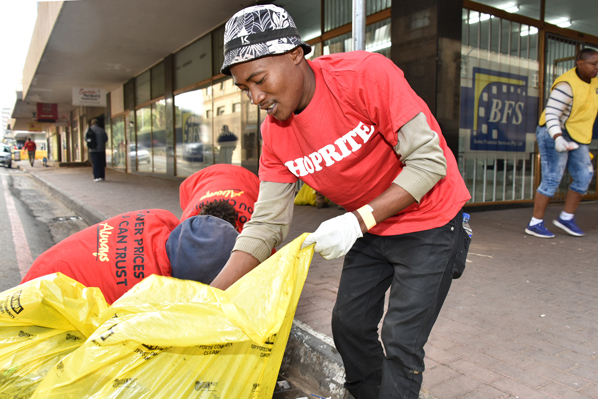 The Shoprite Group is staging Africa’s biggest cleanup at which over 6000 people in nine countries are expected to participate in almost 500 events from 14-18 July to remove waste from communities. Furthermore South Africa risks running out of landfill space over the next couple of years. Recycling therefore is central to this initiative and cleanup organisers are encouraged to partner with local recyclers or wastepickers to ensure that most of what is collected gets recycled. With this focus the retailer aims to highlight the business opportunities available through the recycling of paper, glass, plastic and other material. On the platform cleanup organisers are given guidelines on what their duties are as hosts, how to market their event and what to do on the day and after the cleanup. Participants are to share their experience on social media. The retail giant fights hunger by planting community food gardensacross South Africa and in Zambia and providing meals to those who need it the most with its mobile soup kitchens.